Theatre is one of the cultural elements that best exemplifies Africa. It is at the crossroads of the sacred and the profane, orality and the written word, of inner roots and external adjuncts. The product of an accretion of diverse forms, it is rooted in Africa’s traditions while, at the same time, it continues to assimilate foreign theatrical traditions, especially those of Europe. Long before cultural contact with Europe, Black Africa had its very own personal forms of dramatic expression. But, in order to understand them, one must banish all notions of theatre as it is thought of in the Euro-American context—something dependent on text, on halls, on technology and on box-office returns. In this sense, African tradition has not handed down to us a specific theatrical system; rather, it has handed down to us a series of functions, which themselves were modified under colonial influence and which gradually moved away from their roots, though they were never eliminated completely. The term theatre itself has diverse, complex, contradictory and even antagonistic connotations in Africa. As well, the study of dramatic phenomena involves diverse approaches. 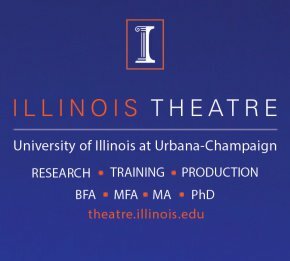 Even in the west, the word “theatre” often denotes very different realities, and what is meant by theatre in one country is not always the same as what is meant in others. It would be unwise, therefore, to expect to find in ancient Black Africa types of theatrical performances analogous to European forms (although connections to ancient Greek drama are regularly noted by researchers). Rather than referring to the cultural traditions of Europe then, it seems more sensible to look at the evolution of African culture from within its own unique dynamic and from within its own history. It is the functioning of society itself which most directly dictates artistic expression in Africa, whose theatre is rooted in myths, rites and folk celebrations, which externalize the beliefs, passions and concepts that preoccupy any given group. The fact is that early Africans never invented a generic term to designate these representations. They did not name their theatre; rather, they lived it. In their scheme of things theatre was taken for granted. 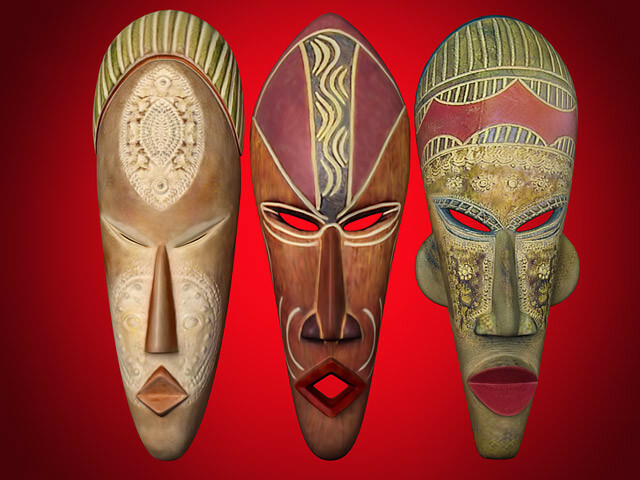 Theatrical art in Africa, therefore, is very ancient, its origins lost in prehistory. Yet, it is part of every day in public places and at home. Everywhere theatricality is evident. The slightest pretext often gives rise to complex theatrical events where music, dance and verbal parody figure in equal parts. 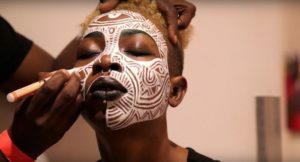 The African has always lived in close accord with theatre and the theatrical; the performative, to use a contemporary term, is an integral part of his or her identity. In this sense, early Africa offers an example of perfect harmony between theatre and society. If one considers the genres and styles of theatre in connection with the milieu in which they originated, if one tries to ascertain the specific elements that gave rise to African theatre and if one studies these indigenous forms as such, it can be concluded that theatre in ancient Black Africa can be clearly found in such elements as ritual gesture and communal celebrations by large rural publics where these forms first emerged; artistic forms that synthesize spectacle and the spoken word, rhythm and dance, forms that integrate many modes of expression. 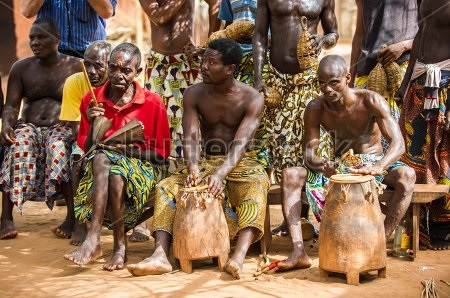 It is to rituals, dances, masquerades, storytelling and folk celebrations with all their theatrical elements, then, that one must look for such an African definition. The fact is that Africa is prodigiously rich in rituals of all kinds. Some are in a lighter vein and give rise to comic expression, but the great majority has their origins in religious expression and magic. Intended as a discourse with supernatural forces—in order to channel them, control them, appease them or honor them—and to ensure the survival and equilibrium of the community, rituals were and still are shields defending the community against evil forces. Through gestures and actions believed to be endowed with supernatural powers, these rituals enable society to reaffirm, perpetuate and commemorate aspects of existence and beliefs deemed essential for the community’s physical, moral and spiritual health. Such rituals are numerous and varied, going back to ancient times and elaborated differently by each of the continent’s more than one thousand different ethnic groups. In this sense, each of these thousands of rituals constitutes the germ of a theatrical performance in its use of mask, dance and incantation. While it is also true that ritual and theatre are not the same thing, it is evident that theatre, of all the arts, is the one most apt to use the same elements as those found in ritual. It is for this reason that so many African researchers and practitioners put ritual at the centre of both their reflection and their stage practice. Imbued with symbolic meanings and using a concrete language, rituals delineate spaces that are always seen as symbolic or mythic, places to come together, places for an exchange between the human and the divine, or between human and human. Created by master-celebrants and shared with participant spectators, such ritual ceremonies designate specific roles—often supernatural—with actions and words rooted not in aesthetics but in their efficacy as part of the whole performance construct. The root here is religion—in this case, animism—which permeates all activities and constitutes the basis for a whole network of customs. African thought is steeped in animism which places humanity at the centre of its concerns. God, in the African universe, needs people in order to be fully realized. It is people, by their sacrifices, their cultural manifestations and their incantations, who give the gods meaning. In this way, each human being—in conjunction with his or her ancestors—participates in divine creativity. Such activities are performed in ritual ceremonies by recreating and representing (as Sénégalese poet and philosopher Léopold Sédar Sénghor has pointed out) a mythic temporal dimension through artistic techniques utilizing masks, songs, poetry and dance; in short, through theatre. These are all the appropriate channels necessary to ensure communication with the divinities and to convey to them humanity’s grievances and praises. It is through such performative elements that the myths and legends on which African civilization is based are examined, scrutinized and reinterpreted. In such traditional ceremonies, for example, the mask is considered the material representation of a spiritual presence assuring the presence of the ancestors among the living. It can symbolize animals as well as humans. 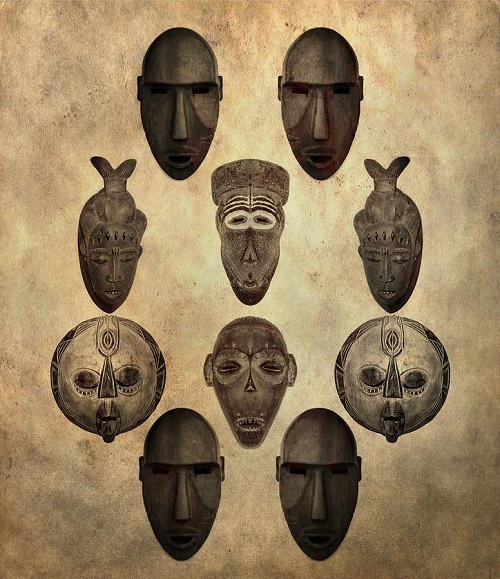 The mask, therefore, is an emblem, a sign which is not only used to erase the personality of the wearer, but which also identifies the wearer with an ancestor or a supernatural being. It can also enable the wearer to take in the appearance of a creature belonging to another species while still retaining ancestral connections. The mask, in this sense, tells a story, as it seeks out a supernatural past or present that it both directs and invigorates, participating in either the cohesion of the group or as an aggressor in a hostile situation. It should be noted too that the mask does not have to be simply something covering the face, but can include garments which cover partially or even fully the wearer’s body. 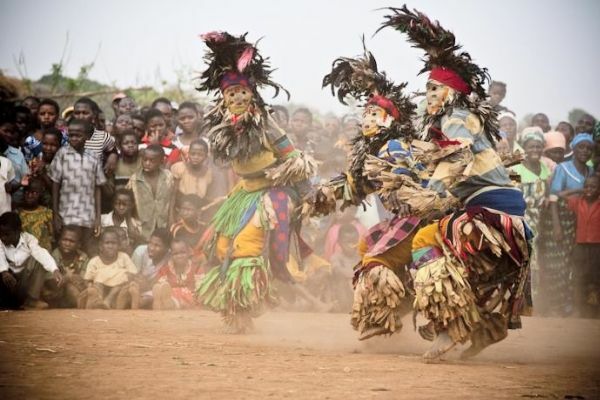 Always displayed in motion (as dance) the dramatic function of masking is clear in all African communities. 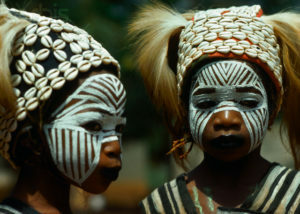 When connected to representations of gods, masking also almost always inspires dance and music, elements of social integration and the most characteristic elements of cultural life on the African continent. From a standpoint of space, it is also clear that in ancient Africa, no ritual act had meaning separate from the place where it was performed, or apart from the participants involved in it. Ritual space existed, therefore, only by virtue of the forces and the supernatural beings that manifested themselves in it. It was never neutral and was based on a particular socio-psychological conception of the world. Every ritual act made—and continues to make—reference to cosmic reality and, particularly, to the space that represents in concentrated form the infinite space of the universe. As a result, everything that is done, said or performed in it is, in its turn, invested with a special energy. Ritual spaces thus acquire the same enhanced value that is found in the platform stage in other parts of the world. In most African religions, the ritual expresses a need to communicate with supernatural forces, especially with the ancestors whose spirits live on. This need for exchange between the supplicant and the gods is expressed through offerings, sacrifices, entreaties and prayers. The structure of ritual space (as marked off by the protagonist) always conveys the desire to bring together the celebrants and those who share the same preoccupations. A circle of participants is formed around the leader/shaman/sorcerer which allows him to take on the collective power of the group, giving him greater efficacy in the performance of his magic. The circular space itself expresses the desire to bring the participants together and to create between them a fusion, a true physical and psychological interpenetration. It is an attempt at recreating a spatial form in which beliefs and collective conceptions can best be realized. Through this dramatic space an attempt is made to replicate the conditions of ritual communion where everything comes together. And, of course, in a space where spirits and humans reinforce one another in reciprocal fashion, in a space where sacred forces and supernatural beings manifest themselves, no arbitrary gesture can be tolerated. The power of the space itself then implies and explains the nature of the ceremony and determines the overall impact of the performance. Such ritual ceremonies are conducted by celebrants who must establish contact between the supernatural and quotidian reality. Through them, there is imitation of supernatural phenomena and an effort to make the celebrants one with such forces. These imitations involve movement, gesture, disguise and dialogue with the divinities. There are masters of ceremonies as well as actions that take place according to an agreed scenario which itself respects certain ritual prescriptions. The principal objective of this central action is, obviously, the efficacy of the ritual, but artistic arrangement and acting are not completely foreign to it. The dance, for example, despite its religious origin, is not merely physical movement of a sacred nature. 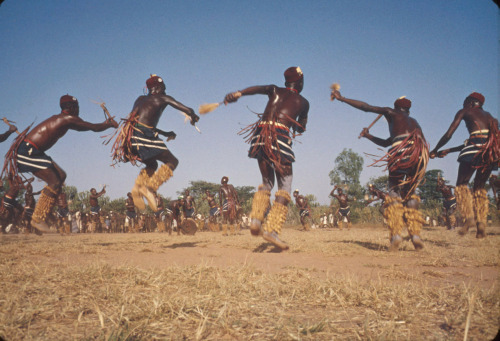 Ritual dancers are also creators of beauty in so far as they also stylize their bodies and movements. 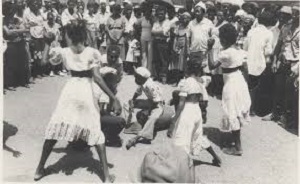 Secular comic theatre arising mostly from folk celebrations also existed and still exists in Africa, especially during harvest times and during family ceremonies. A collective entertainment, these performances’ principal aims were to represent mores observed in daily life. The setting was generally simple and was largely dependent upon the whims of the master of ceremonies and the events being celebrated. Including both men and women and intended for a large rural public, these performances varied from light entertainment to community satire and were characterized by virtuosity in areas such as mime, verbal skills, acrobatics, song and dance. Still seen today on special occasions and performed by artists who are born into their caste and whose function is handed down from generation to generation, these local performances continue to be given before very large audiences. Performed in the same types of spaces as the rituals, such comic performances are still primarily done as entertainment. As with ritual events, no admission is charged. Performed in public squares or in courtyards, the shows are done with the audience standing in a circle around the actors. A tree might serve as a stand for props and costumes, as well as a backdrop. In certain religious ceremonies the celebrants wear, painted on their bodies, the picture of a place, or, sometimes, just a stylized design representing a detail of a place. The dance often creates a moving décor through the costumes, or through lines made by the dancer’s steps. The objects they wear or carry, and especially the colors of the accessories (branches, feathers, animal skins), constitute a décor endowed with special powers to transform the nature of a site. In such events, the artists may themselves be the décor. Acting techniques in all these ritual or ritually related areas must obviously be mastered. The actor must show an ability to use dramatic space not only through movements, but also through pauses so that all spectators are included. The actors must be constantly aware of the power of their gestures and voices. Indeed, whatever the type of space, the African actor will almost always recreate, by gesture or word, the traditional circular space. In this secular comic theatre, the actor must also be a highly skilled acrobat, dancer and mime. Such performances, like those of the commedia dell’arte, depend a great deal on improvisation around a relatively limited series of stories drawn from the common heritage, which often mix serious and comic modes. Finally, it should be said that secular performances provide spectacles that are much more varied and lively than do the ritual ones where things tend to be much slower and more established by precedent. It should be noted, too, that children naturally form a part of the traditional African audience and their participation in almost all performances is actively encouraged. Clearly, such a brief summary shows African theatrical art before contact with the outside world to be rich and complex. Certainly, from the last half of the twentieth century, African secular theatre has returned to its own sources, and practitioners as well as researchers have once again found in these ancient forms the roots of theatrical renewal, and have again connected African theatre to those rituals, dances, masquerades, tales and folk celebrations which have for so long been the centre of the continent’s theatrical arts. This said, it cannot be ignored that the evolution of African theatrical art was interrupted by foreign invasion and incursion. First by Arabs and then by Europeans, these invasions affected all aspects of society including the theatre. Certainly, the Arab conquest, dating from the eleventh century, and the subsequent introduction of Islam, did much to redirect—if not to stifle— indigenous artistic expression. Christianity, later, changed the direction once again. Both these religions grafted themselves onto an existing system of thought that was quite rich and most original. Early descriptions of African performances by foreigners—first by Arabs from the eleventh century (a period before colonization), then by Europeans during the colonial period—invariably missed the spiritual dimension spoken of here. 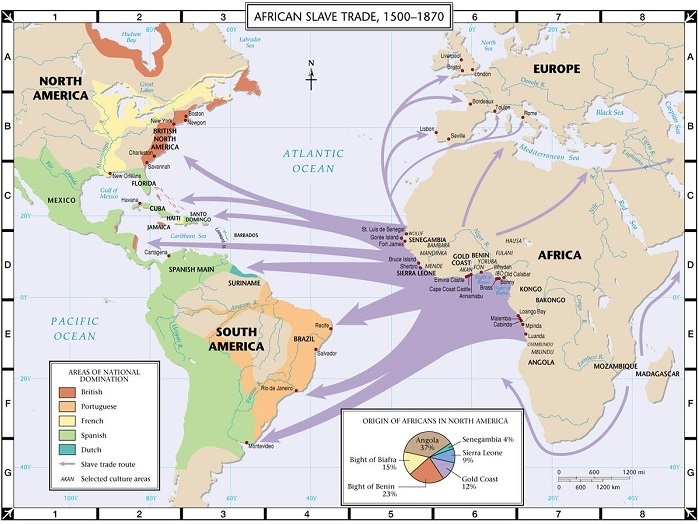 The slave trade (which developed after the European “discovery” of the Americas in 1492) led to internal wars in Africa for more than two centuries and wreaked havoc on African culture in innumerable ways. Relations between African states were perverted by the rush to satisfy the demand for slaves. Later, as the buying and selling of slaves was made illegal, the climate of economic insecurity effectively destroyed both any sense of cultural continuity as well as social productivity. Slowly, Africa began to withdraw from itself. By the nineteenth century, when European powers again turned their economic and religious attention toward Africa, they found not a series of culturally and economically robust states but, rather, states that had been already significantly weakened in material and moral terms. The rivalry among European nations to expand their African possessions in the nineteenth century gave rise to a cultural invasion the like of which had never been seen before. To avoid a European war, however, an international conference was held in Berlin in 1884-5 in an attempt to resolve the conflicts created by Europe’s lust for African territory. 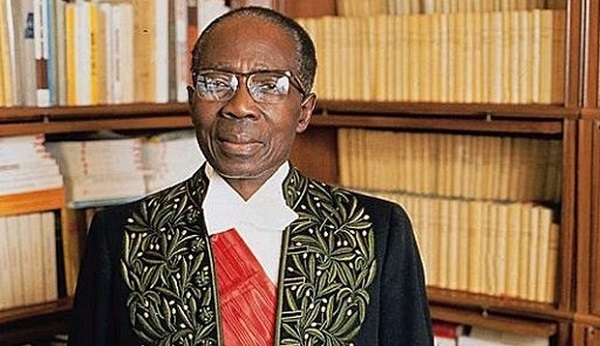 It was this conference which established the rules of occupation of the African territories and which divided the continent up among the European powers. By 1902, the conquest of Africa was almost complete, with the greatest beneficiaries being France, Great Britain, Portugal, Belgium, later Germany and, to a lesser extent, Spain and Italy. This is the origin of the qualifying adjectives “francophone,” “anglophone” and “lusophone,” used in various essays on post-colonial Africa. *This essay was originally written for the Africa volume of the World Encyclopedia of Contemporary Theatre. It has been revised for this special issue of Critical Stages by the General Editor of the WECT series and appears here with the permission of the General Editor and WECT Ltd.
**Ousmane Diakhaté was co-editor of the “Africa” volume of the World Encyclopedia of Contemporary Theatre. 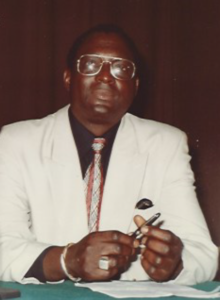 A Professor at Cheik Anta Diop University in Senegal, he is a former director of the Daniel Sorano National Theatre in Dakar. 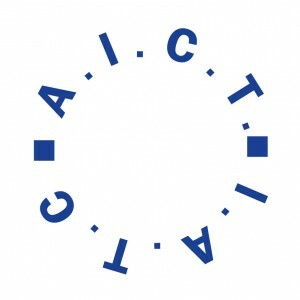 He has been active for many years in the International Theatre Institute. 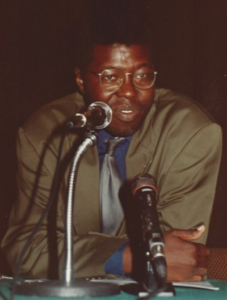 ***The late Hansel Ndumbe Eyoh was a co-editor of the “Africa” volume of the World Encyclopedia of Contemporary Theatre. 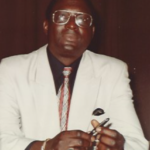 A Professor at the University of Yaounde in Cameroon, he later worked for the Cameroon Ministry of Culture. 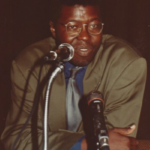 He was a member of the Executive of the International Federation for Theatre Research (FIRT) and Secretary-General of the Union of African Performing Artists.